SCUSATE! Non abbiamo un prezzo aggiornato pr questo prodotto. Cliccate su RICHIEDI PREVENTIVO per ricevere il prezzo via email. 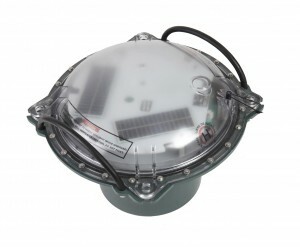 This small-sized buoy uses satellite transmission for being located and monitored. It is specially designed to be used as a lagrangian buoy in surface ocean dynamics studies. It is equipped with double power supply system: rechargeable battery with solar panels and pack of alkaline batteries which provide it with a THEORETICALLY UNLIMITED AUTONOMY in normal insolation conditions and with a complete reliability of operation. It includes a satellite transceiver, GPS, a detachable body that can be adapted to different needs, temperature sensor and magnetic (On/Off) switch. Once activated, the buoy transmits a message including GPS position, water temperature, speed, course and battery level. The buoy can be set up for transmitting a message every 2 minutes or only a daily position. They also include a flash mode for an easy location at night. •DEEP WATER: 6-meter-long round segmented anchor. Its packing enables it to be easily and correctly thrown into water with the MLi buoy. •SHALLOW WATER: Bi-plane anchor consisting of two 1.5-meter-depth panels. •GLOBAL COVERAGE through Iridium satellite network. •Minimum communication cost. 1000 POSITIONS FLAT RATE FOR LESS THAN 50€. •Its mushroom design minimizes the risk of being dragged by the wind. Good stability and buoyancy. •This buoy has no external antenna. Undetectable to both the naked eye and radar. •UNLIMITED AUTONOMY. SOLAR PANELS which provide the MLi buoy with an adequate battery level in normal insolation conditions. Pack of alkaline batteries as a back up. •THERMOMETER that provides a precision of 0.2 ºC and a resolution of 0.1 ºC. MLi message is transmitted via Iridium and it is received automatically by satellite through our website or by e-mail.